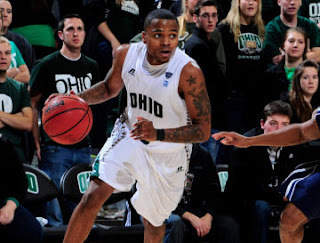 The OHIO men's basketball team is off to a great start this season. Wear your green and white to a game watch party and cheer them on! Time: Tip-off is set for 7 p.m.
More Info: Questions? Contact Amy Hollis: president@clevelandbobcats.com or 440-220-2837. You'll have plenty of other chances to catch a game, because many of them will be featured on STO or ESPN. See the schedule below or check OhioBobcats.com for more information.